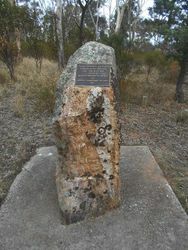 The monument commemorates the expedition of Major Thomas Mitchell who camped near the site in 1836. 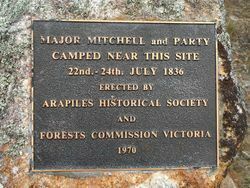 Major Mitchell named the mountain Arapiles in 1836. Major Mitchell had served in the Peninsula War and had fought in the Battle of Salamanca in 1812. Arapiles was a village near the battle site.